Have you ever wanted to deactivate a user in Salesforce but were not able to because they were part of a case escalation rule, an email alert, an assignment rule, or an approval process? 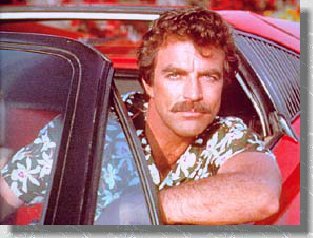 If you’ve been in this situation and you have a sizable Salesforce instance with a lot of Salesforce processes then you know that you’ve got to hire Jim Rockford or Thomas Magnum to figure out exactly which case escalation rules, email alerts, assignment rules and or approval processes need to be modified before you can deactivate the user. But fictional private investigators from television shows don’t know Salesforce so you’ve got to figure it out on your own, and you probably have more important things to do. For larger companies, or those that have many of these processes, we recommended that you create a spreadsheet of the users and the processes that they are attached to. Then when you need to deactivate a user you can search the spreadsheet for the user name and match it to the process that needs to be modified.